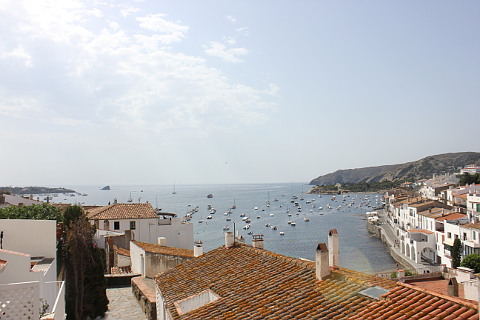 Cadaques is in the province of Girona in Spain's Catalonia region. It is one of Spain's prettiest villages. It has narrow lanes lined with whitewashed houses and sits on a little harbour. There is a little beach and rocky headlands and the village is topped by a very attractive church. In the 1920s and 1930s Cadaques attracted a number of extremely famous painters and has been an important artistic community ever since. Painters including Picasso, Miro and Man Ray have all painted here. After World War II Salvador Dali came to live at neighbouring Portlligat and Cadaques became very popular. It was known as the 'St Tropez of Spain'. Its church the Santa Maria church is probably one of the most painted churches in Europe! 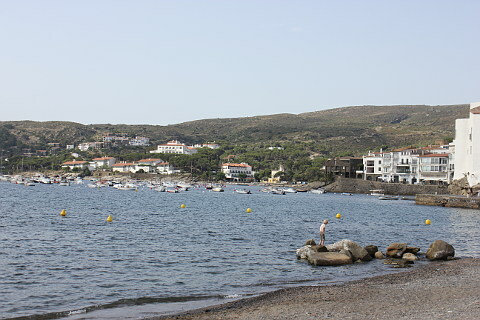 Cadaques sits on a charming bay sheltered between two sections of land which stick out into the ocean. The bay is called the Bay of Cadaques. 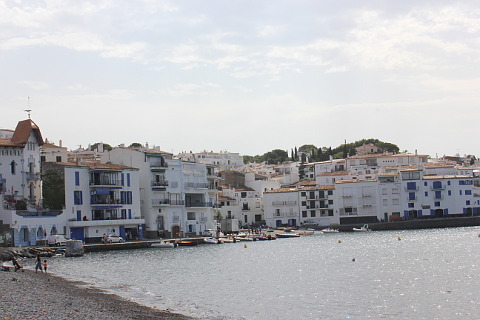 The main square of Cadaques, Es Passeig, is on the harbour and is a great place to sit and relax or enjoy a meal. Cadaques is the prettiest village on this stretch of the coast and wandering around the streets of whitewashed houses decked out in bougainvillea is a real pleasure. Walk around the harbour and the surrounding headland and you can see why this small fishing village was such a magnet for many of the worlds top-class artists. The village winds uphill and at the top is the delightful Santa Maria church. Take a look inside the church as well as admiring the outside as it contains a side chapel painted by Dali. The church is built in late Gothic style though as it is painted in white it looks less sombre than the gothic style often does. The church was destroyed in the early 16th century by the notorious pirate Barbarrossa and was rebuilt using donations given by fishermen for fishing on weekends and public holidays. From in front of the church you get excellent views over Cadaques and the Bay of Cadaques below. In the early 1900s about a third of the town's population emigrated to Cuba. Many of these became wealthy in Cuba and returned to Cadaques where they built large ornate houses and a walk round the town allows you to see a good number of these. 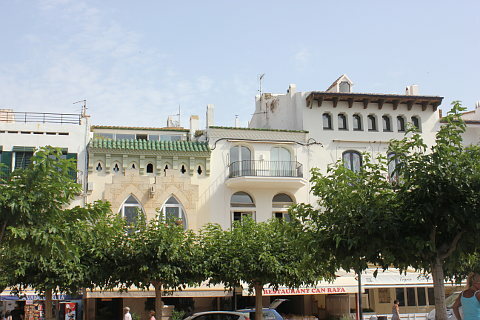 Many of these buildings are in the Modernist style and can be found along the sea-front. The House of Serinyana is a particularly nice one to look out for. 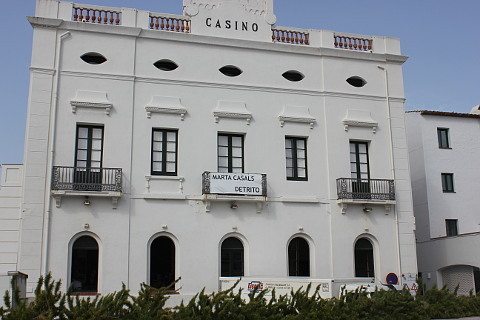 Others are the Rahola house, the state school which is in a Modernist building that was donated to the town, and the Torre del Colom. 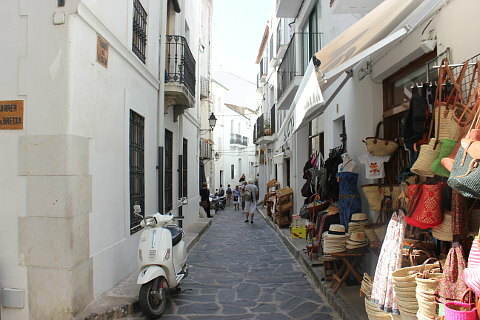 As you walk around in the old town of Cadaques notice the pavements some of which are the original 'rastel' handmade of slate stones. The best 'rastel' is on El Call Street. Cadaques sprang to fame in the 1920s when artists and authors including Picasso and Thomas Mann visited and when Salvador Dali moved to the neighbouring village of Portlligat and took inspiration for many of his paintings in Cadaques. Many of the well-known artists of the time followed Dali and its development as an artist's community began. 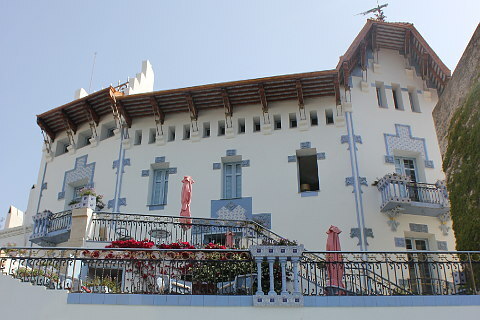 The Centre d'Art Perrot-Moore, an Art Gallery in Cadaques contains some excellent paintings by Dali and Picasso. 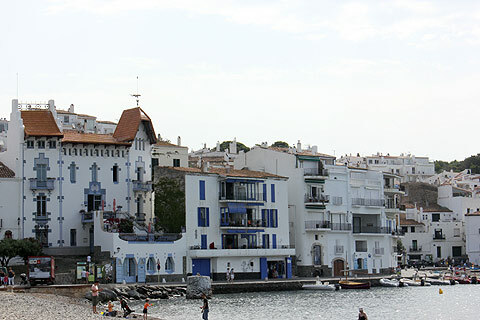 The Cadaques Museum also has exhibitions dedicated to Salvador Dali as well as temporary exhibitions of other painters connected to Cadaques. The museum is housed in an old ballroom which is a nice building in itself. 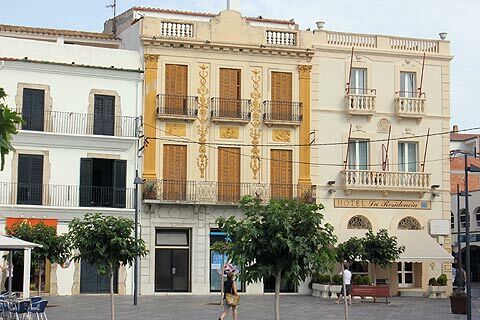 There is also an art walk that you can do in the town which takes you round the town looking at particular spots which inspired Salvador Dali. At each spot there is a copy of the painting that Dali produced - there are 15 in all on the walk. Local gastronomy is important in Cadaques and anchovies which are famous along this coast are preserved a little differently in Cadaques to elsewhere - here they are preserved in salt and pepper for 10 months and feature in many local dishes and tapas. A special cake is prepared here which is called "Es Taps" and looks a bit like a cork or a chef's hat. These date back to the 17th century and are served in most of the local restaurants. Portlligat is just a little further along the coast and here you can visit Salvador Dali's house. The house is now a museum - the Casa Museu Salvador Dali and is a fascinating insight into the quirky lifestyle of Dali and his wife Gala. It is possible to walk from Cadaques to Portlligat. It is a short walk of only 20minutes and easy to follow. Dali's house is a row of converted fishermen's cottages and a visit is highly recommended. The interiors are beautiful but also very quirky in the way that you would expect of a home of Salvador Dali. Outside is a wonderful swimming pool. If you wish to visit you need to reserve tickets as numbers are tightly controlled. The visit lasts about 40 minutes. As well as being able to walk to Portlligat there are a couple of other pleasant walks to do. South from the harbour is a 3km walk towards Cala Nans where there is a lighthouse and the pretty Sabolla cove. Alternatively walk to Portlligat and then continue to the Cap de Creus village and lighthouse and various coves. This walk is 8km in total from Cadaques. Notice the interestingly shaped rocks as you walk by - many are named after the animal whose likeness they take eg. "rock of the camel" and "rock of the eagle". Maps for the walks can be obtained from the tourist office.